Our latest venture! 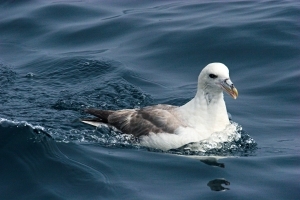 Find out where Ortac's Gannets are going when they aren't on the rock. The Alderney Wildlife Trust's national education programme. Everythig you need to bring nature into the classroom! Join the Alderney Wildlife Trust and witness some of Alderney’s most iconic species LIVE on camera. 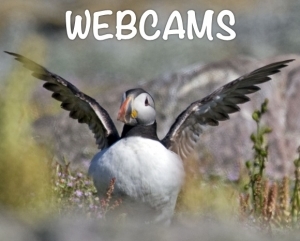 The Alderney Wildlife Trust and South East Grid for Learning Associates also bring to you LIVE: Teaching through Nature, an educational resource which follows the seabird season with LIVE webcams from the heart of the colonies. This offers schools the opportunity to bring nature into their classrooms. Using the dramatic live streams of Burhou's seabirds this project links directly to the curriculum, and is an effective way of teaching science and literacy skills, and encouraging pupil creativity and confidence. 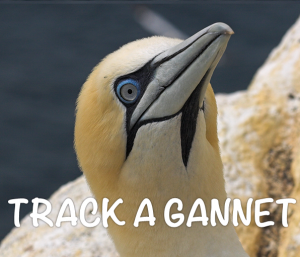 T.A.G is an exciting project that will continue to give us an amazing insight into the lives of our Northern Gannets - tracking the movements of our Gannets using live GPS tags. You will be able follow the birds on an online map and find out exactly where they are going as they cover the Channel foraging for fish. We follow the birds by fitting miniature GPS tracking devices that use the mobile phone network to transmit the positions. These cameras are provided free of charge and any support you can offer to keeping them running will be gratefully received.